Yesterday's Pick of the Week inspired today's review. Today I am reviewing Milani Color Statement Lipsticks. These new and improved lipsticks from Milani Cosmetics were launched a few weeks ago and ever since, makeup lovers have been scrambling to stores to find them. I was very intrigued by them after reading Nouveau Cheap's post on them and after a few trips to various stores, I finally spotted them. I found these babies in my local CVS. After discovering that some of the shades were not sold at my local store, I decided to bring home Fruit Punch and Uptown Mauve. Can you tell I love pink lippies? Let's get into the review! What can I say? 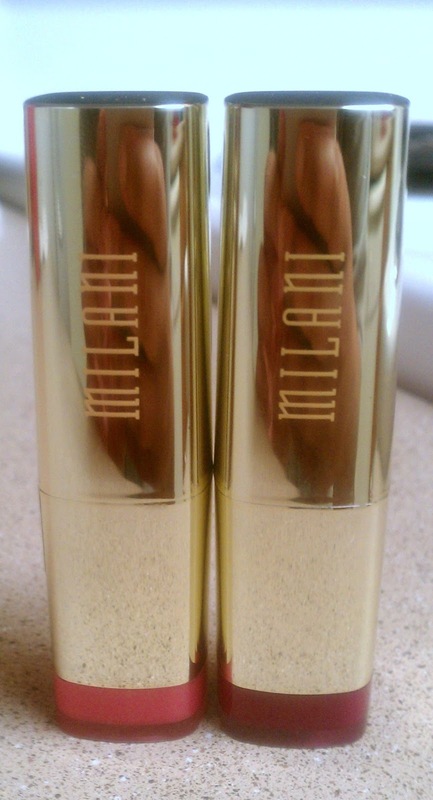 I was very impressed with what Milani has brought to the table. I didn't think their previous formula for lipsticks was bad; however, with the new case and shape, it's much more practical. I love the pigmentation and the lasting color. I could definitely go without the slight waxy fragrance it comes with, but I am not sensitive to smells so I can deal with it. 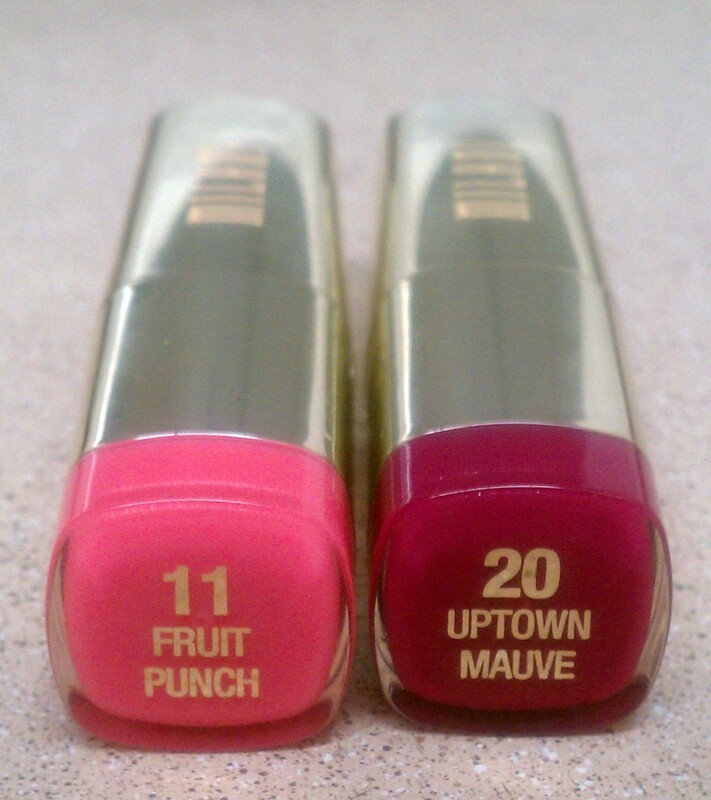 I can honestly say I still like Wet 'n Wild Mega Last Lipsticks better, but these are a close second in my book. Definitely! However, I would stick to only the cream finishes. 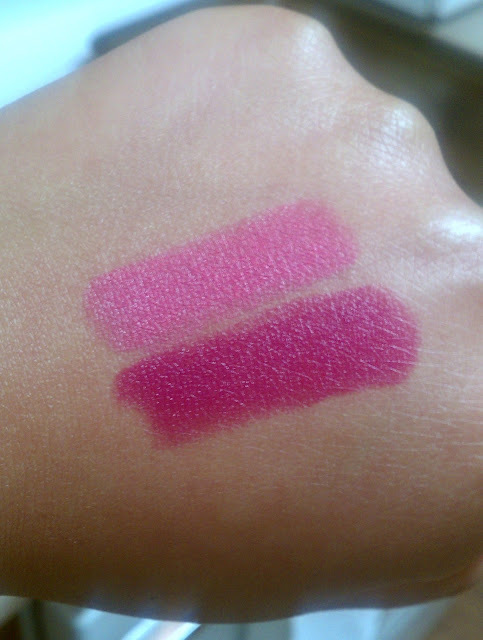 I briefly owned Raspberry Rush, but the formula, Metallic, was too rough on my lips. Are you going to give these lipsticks a try? Pleaaassse stop!! Now I have to go buy more lipstick.. You already had me out looking for wet and wild lipstick for two days, still no luck!! Geesh!! lol, after while I'm going to have every pink made by every cosmetic company. I've always been a red lipstick girl, but lately I've been on a hunt for the perfect shade of pink...CVS is my spot! LOL..
love that you did swatches for these! I only snagged one color i really wanted from the new line and it's Rose Hip!! it's gorgeous and pigmented, smells like watermelon and is a good dupe for candy yum yum! No problem! I appreciate you stopping by. I actually purchased Rose Hip, but I returned it because it's identical to the previous one they hide sans the new packaging. It's a beautiful color! Thanks for stopping by Roxy! I think orange would be so gorgeous on you. If you can't find these, check out a few orangy/red shades by Wed 'n Wild. They are even cheaper and last forever on the lips! I love Rose Hip! Gorgeous color! Thanks for stopping by Brit! You should definitely give them a whirl! I love them so far. :-) Thanks for the comment!